Have you ever taken four flights in the span of 24 hours? 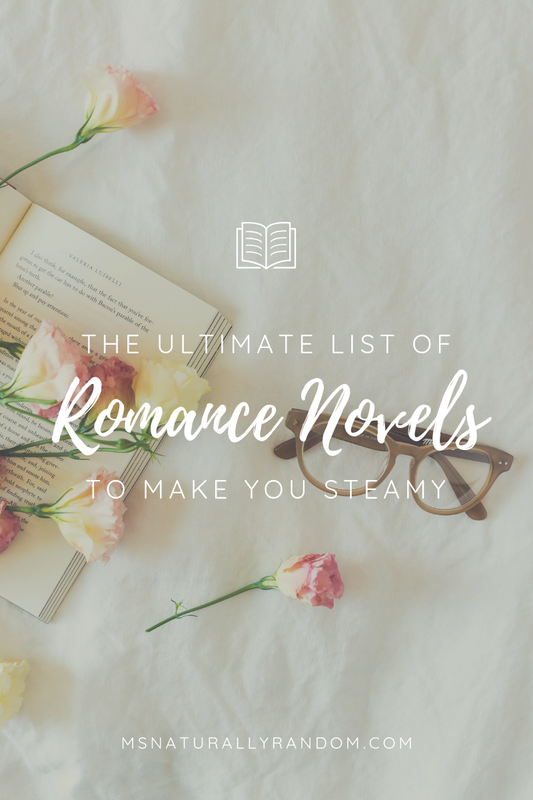 I did this last weekend and it was totally worth it! I dipped out of town for a quick travel trip to attend my big brother’s wedding. Once returning, I reunited with #TeamFife finally got around to exploring some good eats in Richmond, VA. Yep, we relocated from NC to VA this year and we’re finally getting settled in. After driving past this place over and over again, Hubby and I finally decided to check out Boulevard Burger and Brew. With it being right down the street from my favorite grocery store Aldi, I was really hoping that this could be a great excuse to head to this area for an “errand and eats” trip. 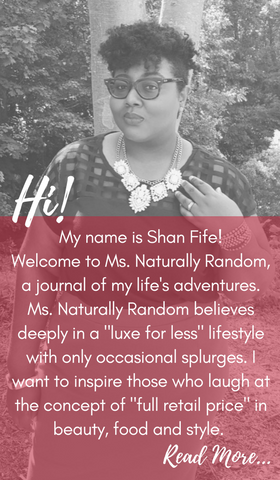 I’m a stay at home mom but also I’m a Mom on the go! I’m always looking for ways to do as much as possible per trip out of the house, so I was excited to check it out. 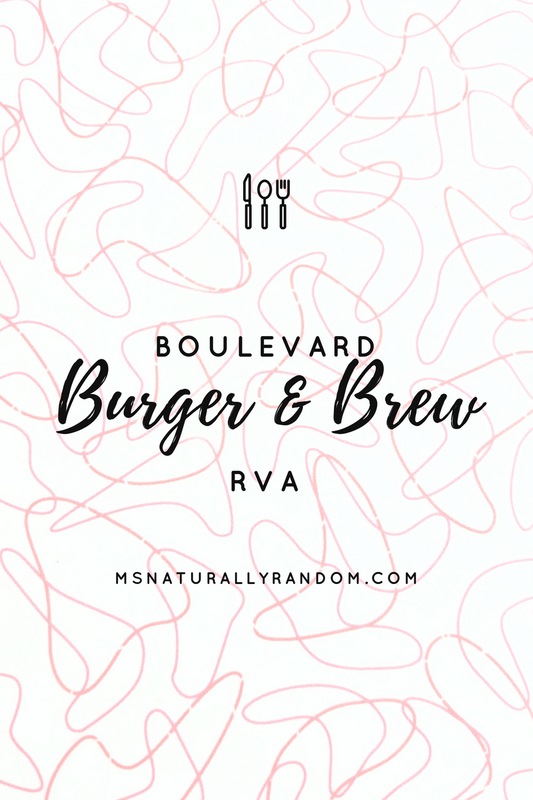 Boulevard Burger and Brew is a casual burger restaurant located in Scott's Addition Neighborhood — one of Richmond’s now (once industrial) mix of homes, restaurants, and shops near the intersection of Broad Street and North Boulevard. Boulevard offers food, craft beers, and boozy shakes. Their slogan is "Where Burgers and Beer Go Hand in Hand.” They also offer Hot dogs, some veggie items and even salads containing all of your fav foodie's latest trending eats like Kale, Quinoa, and Goat Cheese! We didn’t sample everything #BudgetLife but we did get to try out the burgers and a couple of other items. Team Fife Family Date Details! 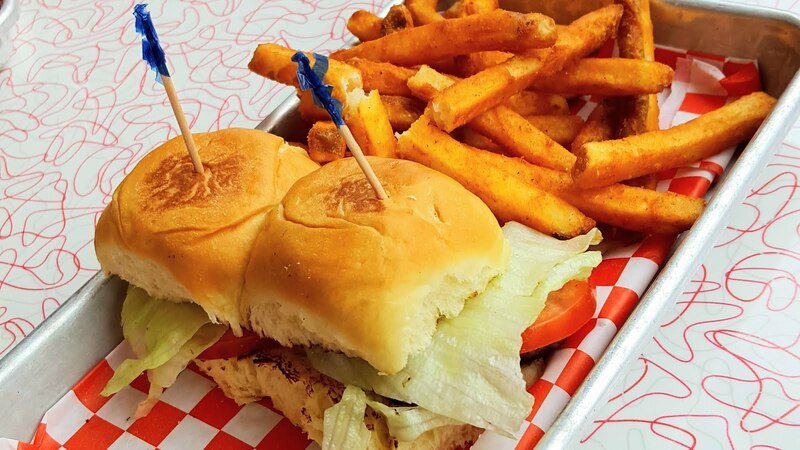 Kid’s Burger Sliders – Add-Ons: Lettuce & Tomato with a side of french fries. 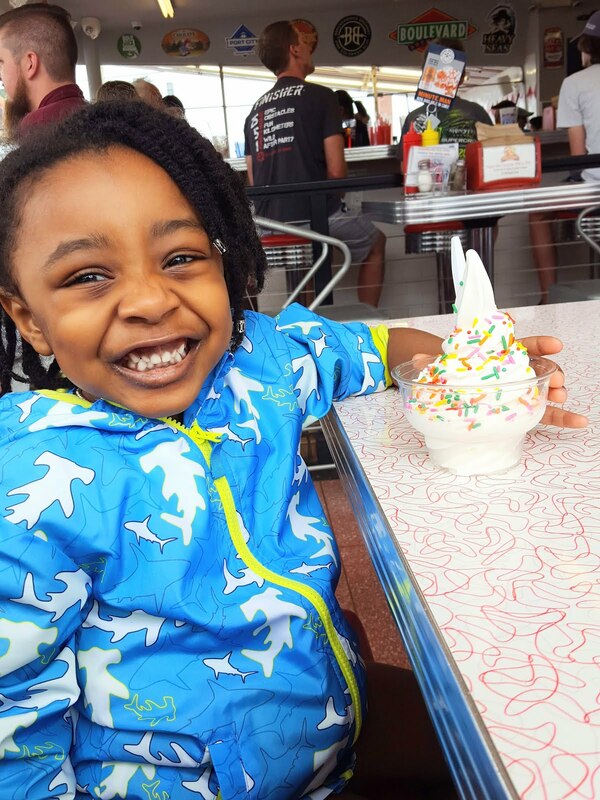 All items are offered with fries or tots and what they describe as a "kiddie-sized" ice cream for dessert. It’s all typical kiddie fare, nothing spectacular here. The standout was definitely the ice cream. Warning, the serving was a bit much for our little one and we definitely helped her finish it. Appetizers – They offer 8 appetizers and we opted to try the Bacon Pepper Jack Mac n’ Cheese Bites. 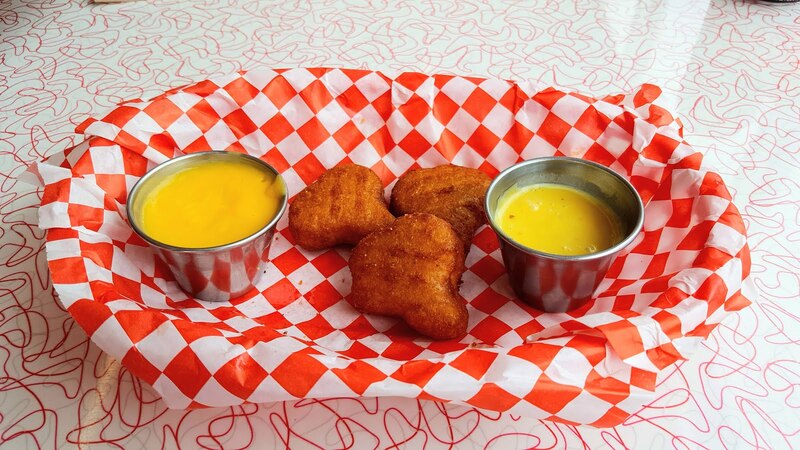 The 6 Bites are served with a side of Nacho Cheese & Boulevard Secret sauce for dipping. Anyway, as I was checking out the decor, I did overhear good things about the Spicy Thai Fried Green Beans. #NoseyLife LOL! Has anyone tried them? Let me know if the comments. If we try them, check back for an updated review. 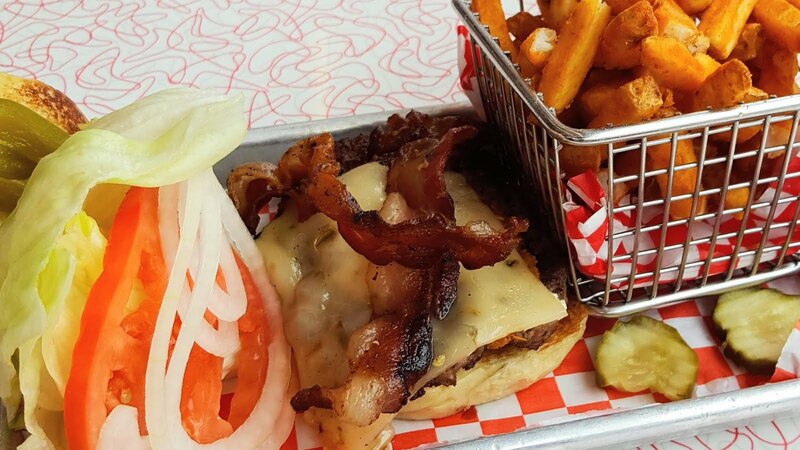 They offer a 6oz burger cooked to order and you can either customize it with any of their cheeses, toppings, and types of bread for .95 cents each or choose a specialty burger already designed with complementary ingredients. 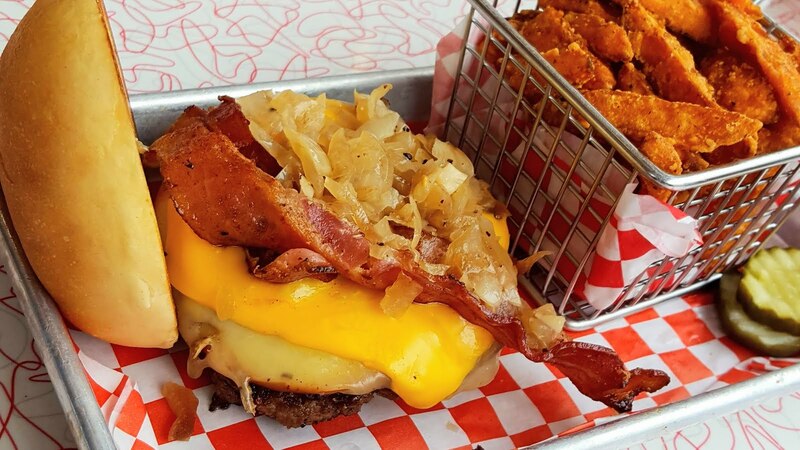 Triple Play – American, Smoked Gouda Swiss with Add-Ons: Grilled Onions and Bacon and a side of sweet potato fries. As I sat there, staring down this massive burger topped with all of my favorite things, I was struck with a thought. I typically cut my burgers in half but didn’t notice that we lacked tableware until the server walked away. This may be typical if you don’t order a salad or something requiring a knife! I’ll be honest, I could feel an impending shirt stain ahead but I was hungry so I decided to deal it and dive in. It didn’t disappoint. 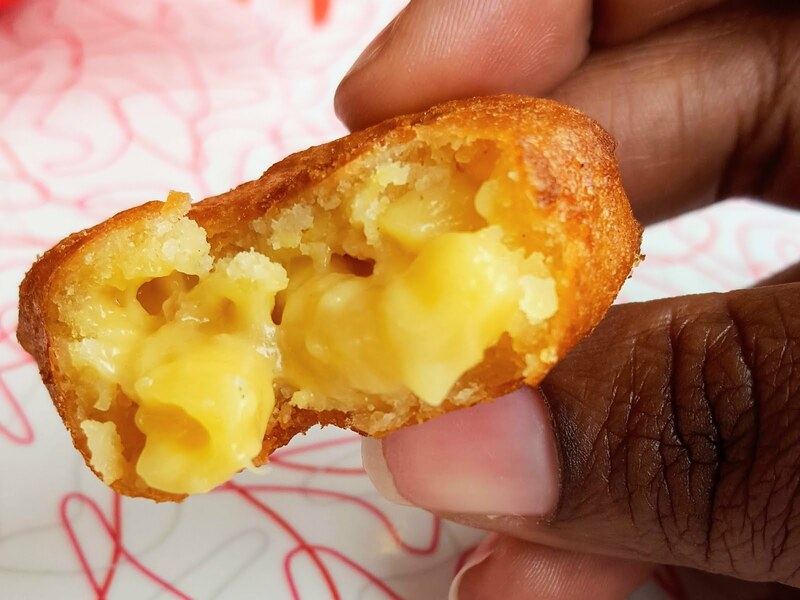 Juicy, cooked to order perfectly and cheesy! Exactly what I was looking for because above all else, I’m a burger kind-of-girl! Diablo – Pepper jack, bacon, jalapenos, fiery diablo sauce, and LTO on a jalapeno bun with a side of french fries. We love spicy foods by the way #ijs 🔥🔥🔥 so I wasn’t at all surprised that my Mister ordered this. I definitely was eyeing it as well. Hubby described his burger as, “able to taste the peppers in the bun but overall the sauce didn’t live up to the fiery claim. On a scale of 1 - 10, it’s a 4.5.” I must say, that was a little disappointing but he did enjoy it just lacked on the heat meter. The fries both regular and sweet potato were crispy and freshly fried. Now, I’m not totally into beer, it’s just never been my thing but in recent years I have taken to enjoying my fair share of hard ciders. Hubby noticed something interesting and decided to try it out. 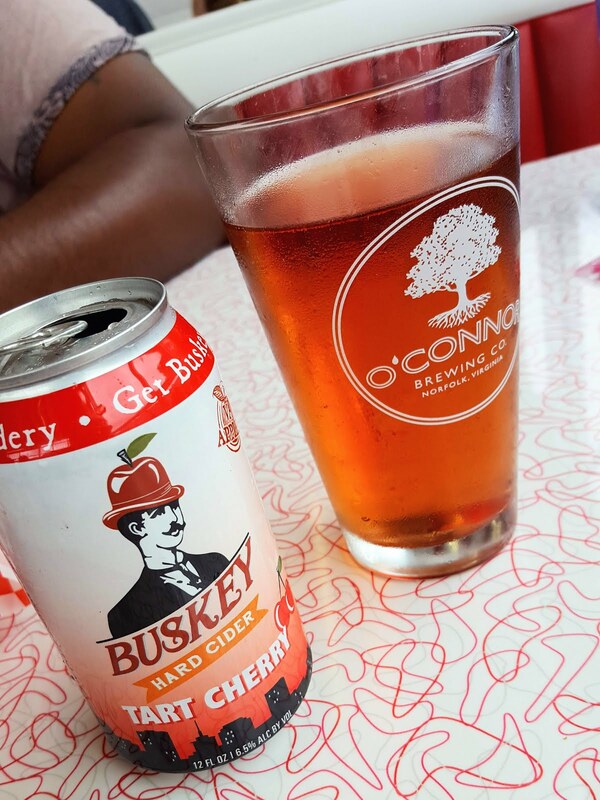 He opted to the Buskey Cider - Tart Cherry Cider! We definitely agree it was quite delightful! Long story short, I actually enjoyed this day date. Yet, with great company, how could I not? I think that a 4/5 star rating is definitely accurate. 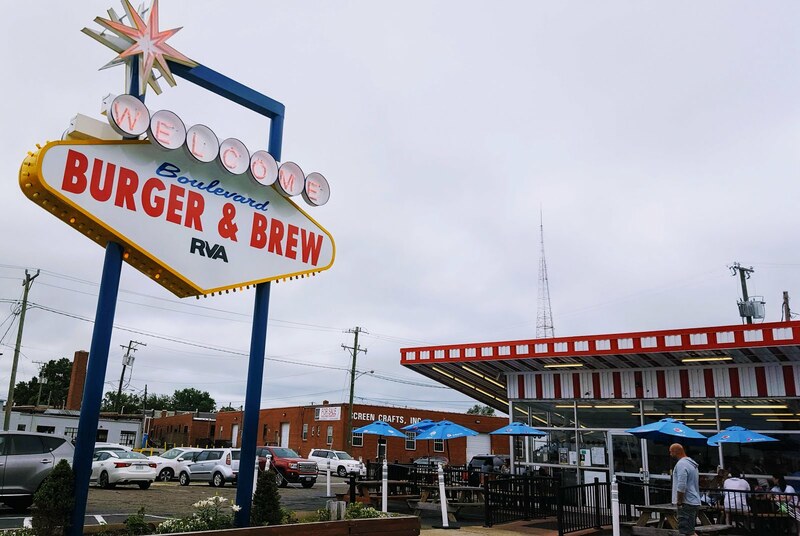 There is ample seating with an outdoor patio and inside you’ll get all of your “Rockabilly sockhops” and “Grease Lightening” decor with a traditional diner feel. Disclaimer: Food at the restaurant was NOT complimentary and please know this review is honest and a reflection of my dining experience.